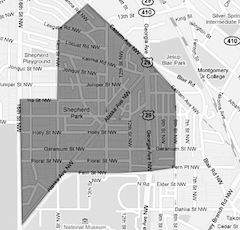 The District of Columbia Water and Sewer Authority (DC WASA) is issuing a precautionary boil water/bottled water advisory for a portion of Northwest DC, affecting approximately 750 buildings. DC WASA experienced a loss of pressure around 12:00 noon on Monday, December 07, 2009. This resulted in a drop of water pressure in the vicinity of 16th Street and Georgia Avenue, NW. A smaller neighborhood may have lost water pressure entirely, which could present a water quality problem. WASA does not believe there to be contamination, and this is a safety precaution until they can safely test & flush the system. If you have questions, or are near the affected region, you can call WASA to confirm at 202-612-3440.